For the next three Saturdays we are hosting special guest teacher Lara Adler who, in her clear, kind and meditative way, will be leading a YIN RESTORATIVE AERIAL YOGA CLASS. 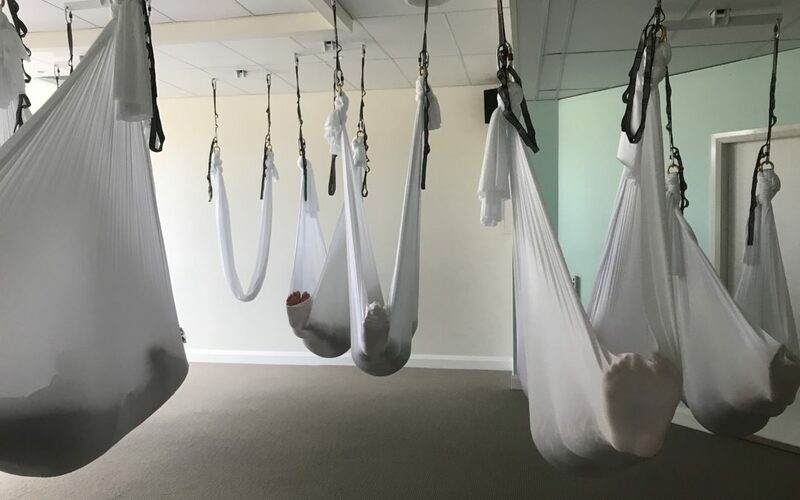 If you are curious about aerial but have been a little fearful to drop into a class, come along as this is surely the kindest, gentlest and easiest way to find out for yourself about the love of a good hammock! Lara expertly guides her students into a profoundly meditative experience. BOOK EARLY ! This special series of restorative yoga classes will to be held each Saturday February 2, 9 and 16. 11.15am -12.15pm . You can come to one or all of them. It’s priced as a regular aerial class which means you can use your class pass if you have one, or come casually at $30 per class. Do book early to save your spot in case it fills up.